Poppy's Pumpkin Patch is located south of Norfolk, Nebraska. It is an on the farm, family business that sells fresh home grown produce and pumpkins while offering family style entertainment at a reasonable cost. It started in the fall of 1999. It included a hay bale maze, petting zoo, and the 1/2 mile nature walk. In the fall of 2000, new items were added and expanded upon; a corn maze, a train ride, a look-out tower, a duck and chicken barn, a Bunnyville, and many other activities. In the fall of 2001, a pig race and a jail house were added. A country café was added also. For the year 2002, a tree house, play ground equipment, and kid's race track were added. The 2003 year, a timber wood maze and a dress-up house was added. In the fall of 2004, pony rides and hay rack rides were added to the patch. The 2005 year, a boat ride across the pumpkin pond was added. The pond is next to a hand made log cabin. In the fall of 2006, the deer farm was added and the 100 ft super slide! The 2007 year, the café was enlarged and remodeled to accommodate the increased menu selection. In the fall of 2008, the long green tornado slide was added to the top of the lookout tower! For the 2009 season, a 700 ft zip line was added. A must see attraction! 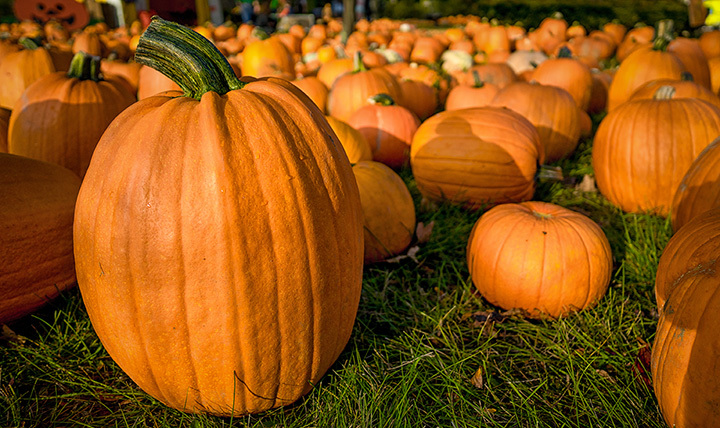 Poppy's Pumpkin Patch includes so many other attractions for the whole family to do. It is such a unique place to be. There is a gazebo you can sit under while watching the goldfish. Make a wish by the wishing tree. Work your way to the pumpkin patch itself and walk thru it and pick out a pumpkin! Let's not forget the free face painting in the café on the weekends. Poppy's Pumpkin Patch is an adventure for the young as well as the young at heart! Bring your camera and enjoy fun family farm entertainment!